As you can clearly can tell by now, I thoroughly enjoy finding the best kiddie products out there, as well as new and amazing businesses as I take pride in helping other parents, so naturally when I was introduced to this new idea I fell inlove with it and had to share! 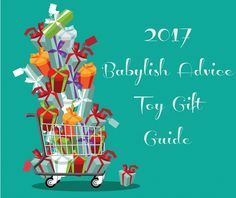 As a new parent or an expectant parent, you have NO CLUE what to expect and what each baby stage brings, not to mention with the amount of baby products on the market (6 brands of one type of product – yikes) it can be sooooo overwhelming and Mommiesfirst helps with that by taking some of the guess work out of it. Like a magazine subscription, you select a membership plan of 3 months, 6 months or 12 months (or better yet you can gift it) shipping is free and monthly you will get a box in the mail with 4-5 great brand must-have products that will help you with all those tough stages, baby or no baby. These boxes are 100% tailored to you and your baby by filling out some information when choosing your membership. Lucky for me, a while back I was asked to be part of the Mommiesfirst council to help test out products to make sure they are good enough for all those getting the care packages and I excitedly accepted and have enjoyed very much being part of this council. I can promise you up and down that only products that get raving reviews from the council members go in the packages and I know that because I had a pretty bad experience with one of the products to which I expressed my dissatisfaction and it was not included in the box. That shows me that they really do care and that is enough for me to stand behind this company (not to mention the founder, Lorena, is such a wonderful caring mom and business owner who just “gets it”). Think about it as getting a fun present every month since you don’t know what is coming – YES PLEASE!